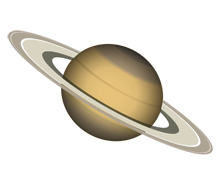 Dave Doody, JPL's Lead Engineer for realtime Mission Control operations of the Cassini-Huygens Mission, will touch on how we got to Saturn, show highlights from over a decade in the Saturnian system, and share the mission's spectacular Grand Finale. Near the end of its 20-year flight, Cassini began what became a whole new mission. After repeatedly flying close outside the main rings, a daring jump provided twenty-two orbits that skimmed between the gas giant's atmosphere and its innermost rings. Finally, the spacecraft plunged to its meteoric destruction (on purpose!) into Saturn's atmosphere on September 15. Join us for this unique opportunity to hear from someone directly involved with exploring our solar system. After serving in the U.S. Air Force, Dave Doody worked as an instructor for Japan Air Lines teaching Captains and First Officers of JAL. At the same time, he led an instructional systems development effort at the JAL flight crew training center. 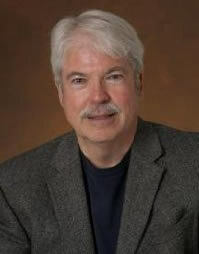 Having landed at Catalina Island after sailing the coast, Dave worked as a systems engineer there for three years before joining the NASA-JPL Deep Space Network in Pasadena to create instructional systems and training materials for operators of the worldwide spacecraft-communications systems. On completion of the Deep Space Network contract, Dave got his master's degree and then went to work on the NASA Voyager mission flight operations team while Voyager 2 cruised from Saturn to Uranus and Neptune. Flight operations on Magellan, the Venus mapper, then led to flight ops work on the Cassini-Huygens mission to Saturn and Titan, where he has been since 1994. Once in a while you can find Dave playing sidewalk astronomer in Pasadena, offering free telescope views of the planets to passers-by. And once a year, Dave welcomes participants in his "Basics of Interplanetary Flight" seminar with Art Center College of Design Public Programs in Pasadena. 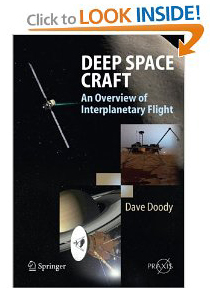 Hardback book Deep Space Craft, an overview of interplanetary flight (Springer-Praxis 2009), part of Springer's Astronautical Engineering series, written for the lay person who has a technical interest in what's going on with our interplanetary robots. Foreword by Steve Squyres. Full-color hardback cover, printed on acid-free paper. 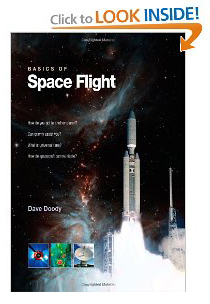 Paperback book, Basics of Space Flight (Bluroof Press, 2011). This is a hardcopy version of the tutorial described below. Two editions available, the full color and the lower-cost black & white. JPL's free online Basics of Space Flight Tutorial has interactive quizzes and lots of useful links. Includes a free downloadable PDF of the tutorial, convenient for portable devices.